Also on show will be the new ANDRE Advanced Near Field Detection Receiver. The ANDRE is a handheld broadband receiver that detects known, unknown, illegal, disruptive, or interfering transmissions. The ANDRE locates nearby RF, infrared, visible light, carrier current, and other types of transmitters. Quickly and discretely mitigate threats using the ANDRE Advanced Kit’s wide range of accessories specifically designed to receive transmissions across a 10 kHz to 6 GHz frequency range. This new lightweight handheld unit has a USB data port for file transfers, a 3.35″ touch screen display providing simple set up and operation, and auto-recognition of attached probes displaying the correlating frequency band. 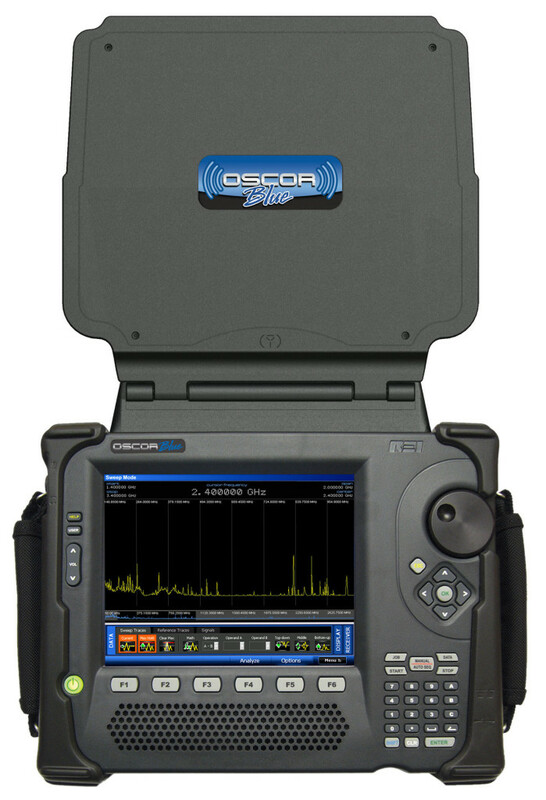 Its portability and responsiveness make the ANDRE an excellent complement to an OSCOR Spectrum Analyzer as a preliminary non alerting tool. The full range of REI and IPS equipment on display on Stand No. D39 at Security & Policing 2017, Farnborough UK or contact Gerry Hall to arrange a demonstration at the central London offices of IPS.